When you need a water removal company with affordable solutions, you can count on the water damage Beaverton and mold removal Beaverton pros with 911 Restoration of Portland. Whether you are a commercial or residential property owner, a water related disaster can cause an array of issues. When you reach out to our local office for assistance, you can rest your concerns because a licensed, bonded and insured technician is always available. To determine the degree of damages and the repair timeline, our water damage Beaverton pros conduct a free visual inspection and provide each property owner with a repair estimate. Don’t wait to treat the water damage in your home or commercial space. Save yourself the challenges and avoid a hefty repair bill. Call the water damage Beaverton and mold removal Beaverton pros and we will be there for you within 45 minutes of your call. Protecting your home against the repercussions of a flood damage is on the top of every property owners priority list. Once water has entered onto the property, time becomes of the essence. Our water damage Beaverton pros encourage property owners to take action quickly. It takes a pool of water to become contaminated with bacteria anywhere between 24-48 hours. So the longer you wait the higher your chances of mold growth become. Mold spores begin to grow when the affected area is humid and dark. Chances are that water from a pipe burst, flood damage or appliance malfunction will need to be removed right away. Once mold grows, spores and bacteria can travel to other affected areas through air vents. 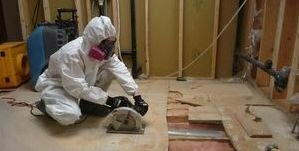 Our water damage Beaverton and mold removal Beaverton pros travel to every job site fully geared and equipped, ready to face any situation at hand. With the help of state of the art water extraction machines and cutting edge air movers, our water damage Beaverton pros are confident that your property will be thoroughly repaired so that this situation becomes a faded memory. When your home or property has been affected by water, call the water damage Beaverton and mold removal Beaverton pros immediately. When you call our local office, you are immediately connected to an experienced project manager who will guide you through this ordeal. From scheduling your same day service appointment to helping you file your insurance claim, our water damage Beaverton and mold removal Beaverton pros will help you from start to finish. Don’t let a small leak become a huge deal, call the water damage and mold removal Beaverton pros with 911 Restoration of Portland.